This sunshine-ready top will jet your mind off to the Bahamas, even if your body is still sitting at your desk. 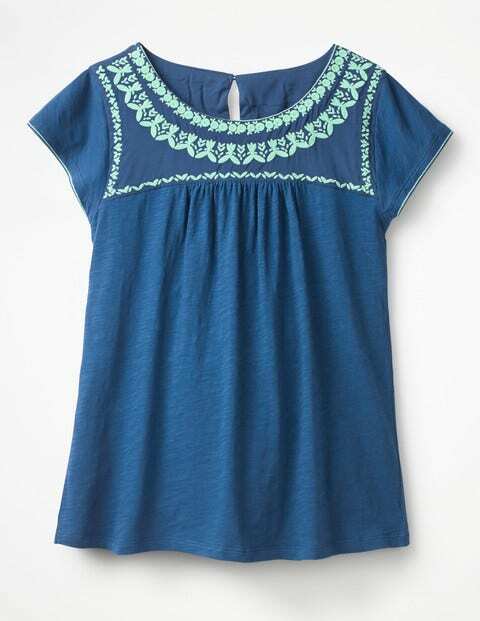 Cut in super-soft jersey and featuring cap sleeves, it's perfect for warmer weather. And the floaty shape, set off with beautiful in-house embroidery and delicate gathers across the bust, makes it even more alluring. Hmm, maybe you should book that flight after all.